Tractor trailers were involved in over 400,000 crashes in 2015, according to the AAA Foundation for Traffic Safety. As a result of these crashes, 116,000 people suffered injuries, and over 4,000 people lost their lives. The Foundation compiled research and wrote a report that explores the concept of using technology to make large trucks safer. How Many Lives Could We Save Through the Strategic Use of Technology on Tractor-Trailers? Automatic emergency braking systems. This technology will detect when the truck is about to hit an object in its path and will brake automatically if necessary. The Foundation estimates these devices may prevent 5,294 crashes, 2,753 injuries, and 55 deaths every year. Air disc brakes are superior to traditional drum brakes in both performance and maintenance. These brakes could prevent over 2,400 crashes, 1,400 injuries, and 37 deaths a year. Lane departure warning systems detect when a truck drifts out of its lane and notifies the driver. The Foundation suggests that these devices could prevent nearly 6,400 wrecks, over 1,300 injuries, and 115 deaths annually. Video-based onboard safety monitoring systems would give the greatest safety benefit, preventing an estimated 63,000 accidents, 17,733 injuries and nearly 300 deaths every year. These systems monitor the driver’s performance and behavior using video cameras and other sensors inside the vehicle. The system sends the information to the employer, who provides feedback and coaching to the driver. Are These Advanced Technology and Engineering Developments Worth the Expense? The report compared the cost of installing these safety technologies on large trucks with the economic benefits expected from use of the devices. These systems combine three technological developments – automatic vehicle braking, driver alerts, and forward-looking sensors. They are designed to prevent trucks from rear-ending other vehicles. The forward-looking sensor detects a vehicle in the path ahead that is either within a predetermined proximity of or time-to-collision with the truck. The driver alerts use haptic (vibrations or clicks), visual, or audible warnings, separately or in combination. If the driver does not respond to the warnings by reducing speed or steering to avoid the object and the system calculates that a crash is imminent, the automatic emergency braking system will kick in to prevent the crash or at least minimize the impact. The report stated that automatic emergency braking systems reduce large truck rear-end crashes 16 to 52 percent of the time. The Foundation blamed the variation in efficiency on multiple generations of equipment. It costs between $2,400 and $2,600 to install these systems on a large truck. Higher efficiency systems are expected to be cost-effective, in that the expected savings will meet or exceed the cost of equipping large trucks with these devices. Air disc brakes are becoming more popular in the United States as an alternative to the standard drum brake. Today’s air disc brakes require less distance to stop, making it easier to avoid crashes. Large trucks need 30 percent less distance to stop with air disc brakes. This benefit may prevent rear-end collisions with large trucks striking vehicles in front of them by as much as 43 percent. It costs around $535 to install air disc brakes on only the steer axle of a large truck, or about $1,300 to install them on all axles. The report found that installing air disc brakes on all four axles is cost-effective even when the brakes were only 15 percent more effective than traditional drum brakes. These systems use vision-based electronic systems to monitor the vehicle’s position on the road and warn the driver of lane departures. The system will not kick in if the driver uses a turn signal for a lane change. The report studied multiple generations of lane departure warning systems, which had a broad range of costs (from $301 to $2,000 per vehicle) and efficacy (from 13 to 53 percent). Recent models of these systems are between 30 and 47 percent effective and most cost around $1,000 per vehicle. The report found that these devices save more money than they cost. These systems usually have two video cameras to record the driver’s behavior and performance as well as what is going on outside the truck. 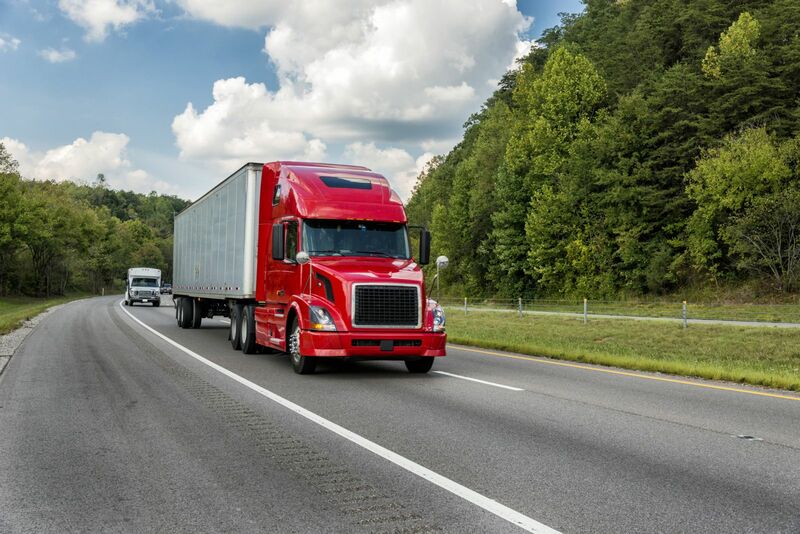 The technology also captures valuable data for the truck driver’s employer, such as seat belt use, driver distraction, speeding, rapid acceleration, hard braking, turn signal use, lane departures, tailgating, and rapid acceleration. Case studies suggest that these devices can prevent 61 to 80 percent of truck crashes, and with minimal cost. The hardware costs $300 to $600 for one system. The monthly service fee for each truck’s system is between $20 and $60. The report found that the benefits of these systems substantially outweigh the economic costs. If you ever suffer injuries in a truck accident that a trucker or truck carrier caused, attorney Max Meyers can help. Call us today at 425-399-7000 to schedule your free consultation to go over your case.